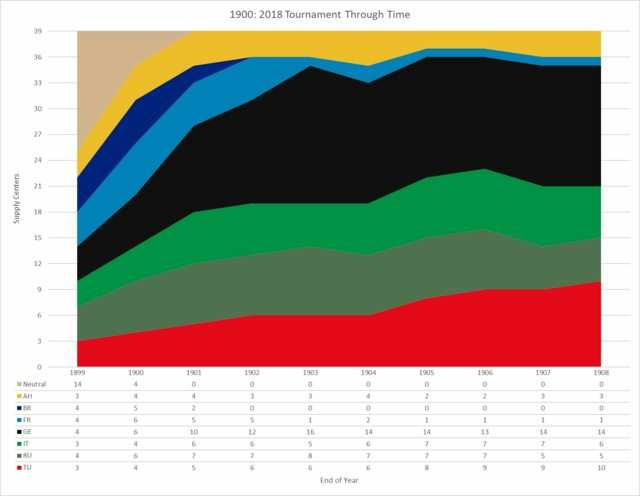 Less than a week ago, the third round of the Tournament Through Time ended in a ranked draw after nine years of play. This is the thread where players, teammates, and observers can post their After Action Reports (AARs), where you can share your experiences of the game. These AARs can be especially helpful to GMs, as each Play-by-Forum game is archived. As this game was part of an ongoing tournament, you might not want to share too much information about your private conversations. However, if you have any stories to share from the game, or any feedback to provide, this is as good a place as any to post it. Man, compared to the prior two rounds, the post-game chatter for _1900_ is just crickets. >of naked cliff, without one tree or shrub a man could cling to. >desert,--the moon was the clock which began things in the pueblo. >Friar asked them gruffly what they wanted, but they made no reply. >together and tied his arms to his sides. >he retained the respect of his Indian vassals to the end. >peach trees, and the green grapes shrivelling on the vines. @NoPunIn10Did GM Yeah, it's quiet. Not sure if it's due to this match in particular or the tournament overall being quieter than it was when it first launched. Perhaps both are a factor. Either way, it was a great match with a lot of good people. Good game everyone. Slack made it great, much more fun to chat live than send messages. Using France as a lever was good play. But in the end you should have made sure he was dead instead of relying on us. - So did France... wtf?